Our buddies at the National Association of REALTORS® found that REFERRALS, REPEAT business and the INTERNET are the top three ways that agents generate leads. Referrals are typically new clients that heard someone else "singing your praises" about your effectiveness as a real estate agent. Repeat business is obviously those clients that you had a good rapport with and whom you serviced well that just cannot get enough of you :). And around 90% of those on the internet are likely to be swayed to work with or avoid you based on your online reviews. 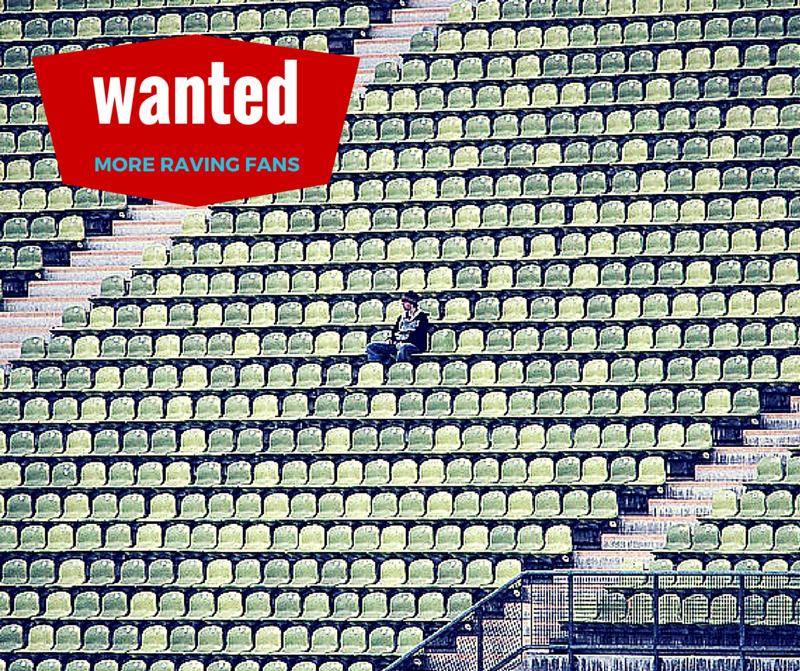 This all boils down to the imperativeness that agents having "raving fans" (a.k.a. brand ambassadors or client cheerleaders), who lavish praises both online and in person about you, to successfully generate leads both now and in the future. That sounds easy enough but do you really have an entourage of loyal clients marketing your business? Quite simply, if you neglect to ask for referrals and online reviews, you may not get them, at least not as many as when you proactively ask. This does not mean that you do not have clients that will happily be your brand ambassador, willing to travel near and far to tell others that you should be their agent of choice. The more likely issue is that they are busy. We are in a fast-paced world where for many of us an omission to send referrals to and write online reviews for our favorite agent has to be a charge not to the heart but to an overly full head. Help your network out and remind them that you are available to serve their real estate needs and the realty needs of those whom they know. Furthermore, be sure to make it easy for them to write online reviews on your desired sites. For more help with this, check out our upcoming coaching huddle (i.e. webinar) on the 5 Secrets to Generating Leads with Online Reviews. There is no fee so do not miss it! Fear in Asking, Who's the Fairest of Them All? It takes a courageous person to ask others what they think of them. Remember the wicked stepmother in Snow White asking who was the fairest and discovering it was not her - boy, did heads roll. Life is not as simple as a children's story but the fact remains that we must be bodacious to inquire about what others think of us. Interestingly, this is exactly what a referral does - you are asking those that know you if they like and trust you enough to allow you to help serve the real estate needs of their friends, family and colleagues. And it is no mystery that is what an online review does. Do not let fear or insecurity grip you. Instead, ask away and if you notice hesitancy from someone when you ask for a referral or online review, have a debriefing with that person. You may learn areas that you can improve in or better yet outsource, ultimately becoming a great and pivotal aide in you more competently serving future real estate clients - a win-win! Do you support your network in their endeavors? If you answer, not really or only here and there, then this may be a hindrance. When we give, it is given back to us! Those in our network are usually involved in various ventures that we can champion. Think about it. Do you know someone that owns a bakery? Purchase a "Congratulations" cake the next time you have a closing. Do you know someone that owns a taxi or limousine service? Refer your out-of-town clients to use it. These are just two examples but search your network and see how you can start patronizing their businesses so that when you ask for reciprocity, your network is much more receptive.